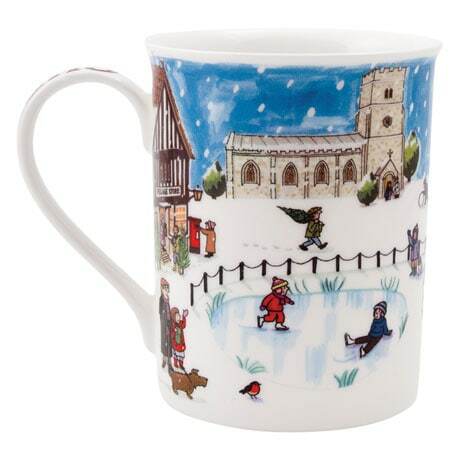 Children skating on an icy pond, a choir singing carols beside a snowsprinkled Christmas tree, shoppers rushing in and out of the village store, St. Nicholas flying by in his sleigh… Christmas is in full swing in the picturesque English village decorating this cute mug! Designed by English illustrator Alison Gardiner, our English Village Christmas Mug features delightful little details, such as a postage stamp-sized painting of Santa Claus inside the mug's rim and holly-red letters spelling out "Christmas" on the handle. 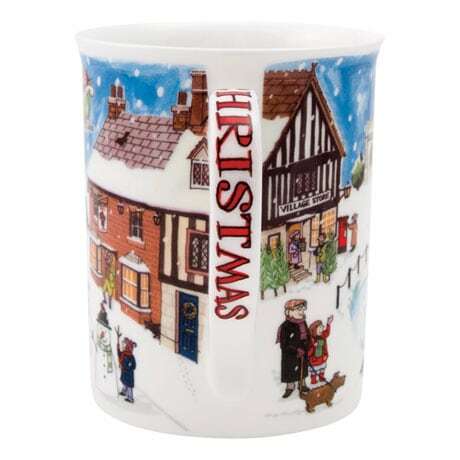 Crafted of fine bone china in Stoke-on-Trent, the historical heart of England's pottery industry, each high-quality 8-ounce mug (dishwasher and microwave safe) takes seven days to make, using centuries-old traditional methods, and arrives in a special gift box. 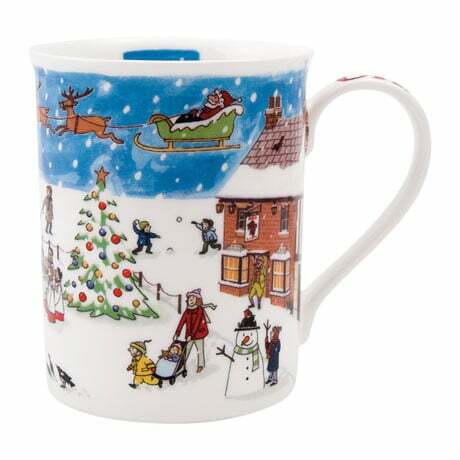 What a festive choice for sipping your morning coffee, tea, or wassail throughout the holiday season!